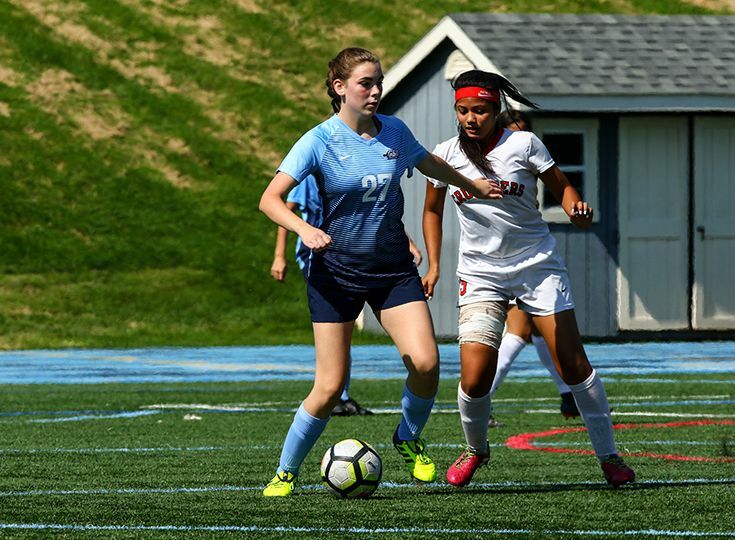 Mia Kolb ’22 has been selected as one of the best freshman soccer players in the state by NJ.com! She was nominated along with a handful of other first-year players around New Jersey. Kolb has made an immediate impact for the Knights this season, recording four goals and an assist to help the team to a 12-2 record. Her biggest game of the year came when she recorded a hat trick in a victory over Warren Tech in September. She has also been previously named the Freshman of the Week for the Skyland Conference earlier this season. People can vote for Mia as the top freshman in the state up until October 24 at 12:00 p.m.